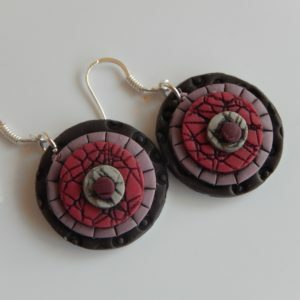 These dainty disc earrings from my Circus Range are light and comfortable to wear. 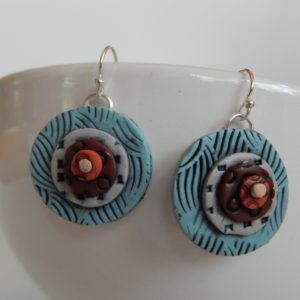 They are cool turquoise, blue and grey colours with some subtle hits of coral shades and tints. 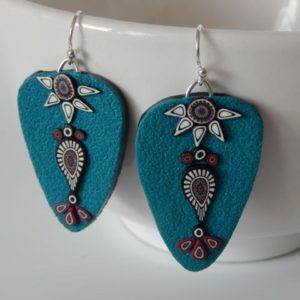 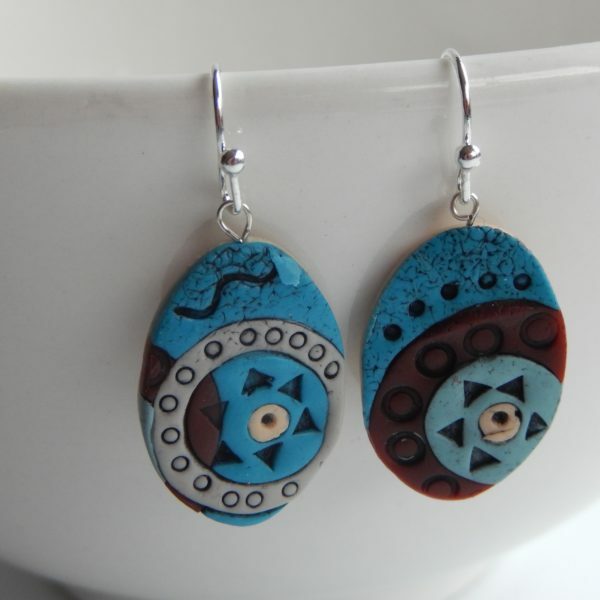 They coordinate beautifully with other items in the Circus: Turquoise range and also the Rangilo: Turquoise range. 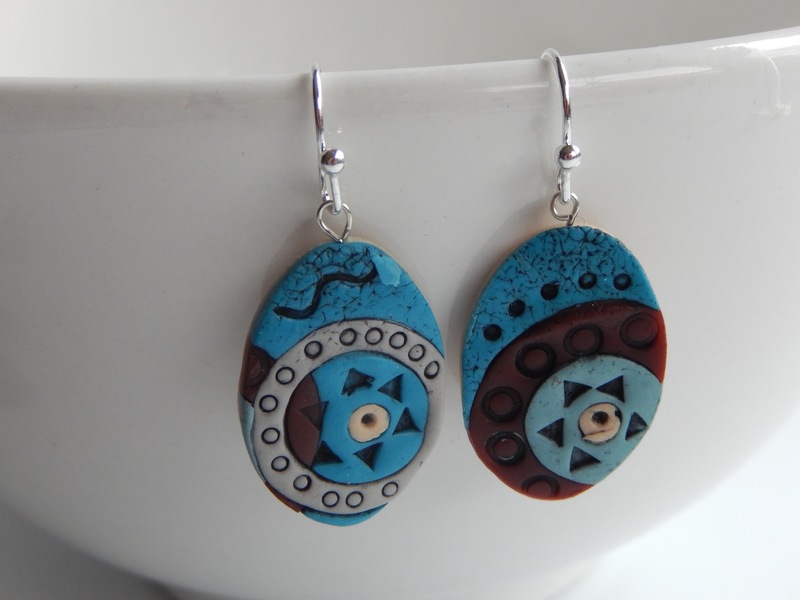 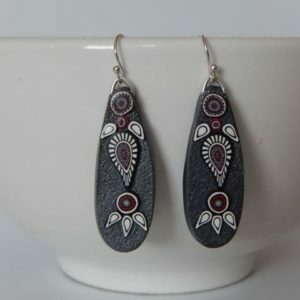 Each earring is just under 3 cm and hangs on a silver plated nickel free shepherd’s hook.